Tarpon Point Marina offers unsurpassed ”direct access” boating opportunities, wide water views of the Caloosahatchee River and the Gulf of Mexico, and exceptional amenities. An adult playground of sorts. The primary target group as a whole has a love of the water and boating, and wants to spend leisure time among friends in an exclusive, gated community. They also are attracted to the privacy, security and the social activities of a master-planned community. The community’s initial marketing efforts would come on the heels of a soft and somewhat depressed U.S. economy. 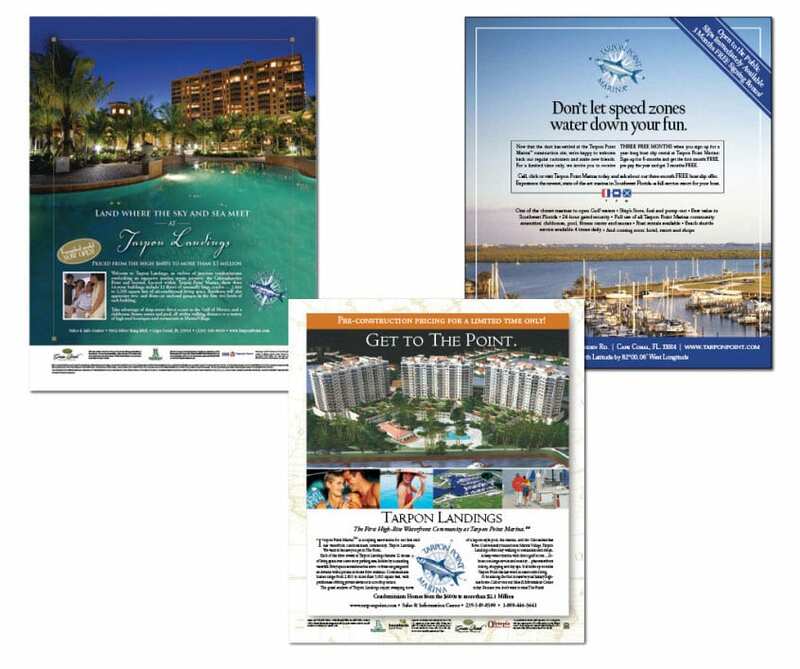 Marketing, advertising and public relations efforts included a full spectrum of tactics: print, television and radio ads; direct mail; billboards; news releases; and events. We developed messages that focused on reaching professional people who had a taste for and could afford the finer things in life. We reached out to an audience seeking an active lifestyle who wanted a variety of amenities suitable for both couples and families. $33.5 million in sales in 10.5 hours. Some people camped out for two days to take advantage of the sales. A second neighborhood had people camping out for five days before sales commenced. Sixty-five of 120 condominium homes available were reserved on the first day. This event garnered no less than 17 news broadcasts, and several articles published in local newspapers and magazines. A month later, it was 75 percent sold-out. As of this writing, the first of three high-rise condominium buildings in a third village has been opened for sales. More than 30 percent of the building was sold in the first week. It is now 90 percent sold out. Overall, our marketing, advertising and public relations work generated excitement, awareness, significant qualified traffic and $170 million in sales contracts.